Although nearly a year old, all of the information in this article is still relevant. It can be important to know how to replace a hard wired smoke detector; scroll down to find out how. 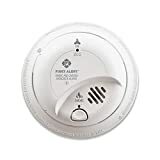 Aside from the obvious benefit of never hearing the irritating and constant ‘chirping’ sound warning of a low or faulty battery, a hard-wired smoke detector provides a greater level of safety for your family. A dead battery puts you at risk, while smoke detectors powered by electricity with battery backup will fulfill home safety and fire regulations. 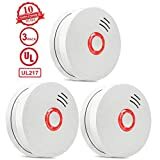 Another benefit is the ability of hard-wired smoke detectors to interface with or be linked into your monitored home security system. 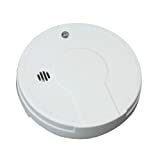 Monitored smoke detectors not only sound an alarm, but they will also contact the fire department. A quick response to household or business fires will save lives and property. Although there is no doubt that smoke alarms help to save lives, a study has shown that domestic smoke alarms fail to wake up 80% of sleeping children. Research is increasingly showing that children, and particularly boys, are not disturbed by the sound. Keep in mind that like all mechanical and electrical home products, they have a certain life-cycle and may fail eventually. The Consumer Reports Agency states that smoke detectors should be fully replaced after 10 years. The sensors will start to lose their sensitivity, putting your home at risk. While replacing your hard-wired smoke detector is pretty straightforward, protecting your property, and family can seem like an overwhelming challenge. Also consider, if you have an elderly or disabled family member, the challenges become even more complicated. We at Protect America are answering the call for dependable and comprehensive home safety services. When you consider FEMA statistics which state that 3,400 people die and 17,500 are injured each year due to home fires, the urgency is made much clearer. Contact us to discuss a monitored home security system which can include monitored smoke detectors, 24/7 in-home surveillance, door and window sensors, and motion detectors – all delivered with an easy DIY installation package.